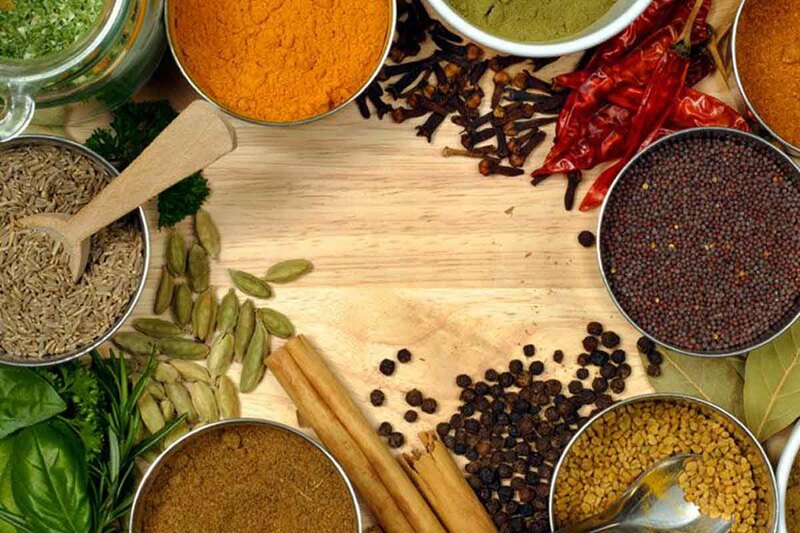 Flavourful spices have always been an integral part of Indian cooking. An entire sub-branch of Ayurveda, Svasthavritta, is dedicated to the science of healthy living. It involves using medicinal spices for activating body energies, building immunity and preventing diseases. Cumin seeds Its literal meaning is ‘Digester’ in Sanskrit. It is one of the most used spices in Indian kitchens! Besides being flavoursome, cumin is a wonderful digestive aid that helps the body flush-out its inherent toxins. When a glass of cumin seed water (boiled and kept overnight) is consumed first thing in the morning it boosts weight loss! It is a natural cooling agent and works well for calming the intestines and preventing all sorts of digestive disorders. What more? Lactating mothers can drink it to purify breast milk! TurmericIt is known as the ‘Golden Herb’ of Ayurveda, used extensively throughout the world for its healing properties. Turmeric has the ability to balance body Doshas (Vata, Pitta and Kapha) while reducing the Ama (toxins) in the system. It has an affinity towards the circulatory system (rakta dhatu) and is used for supporting and boosting the health of blood, liver, joints, immune system, and digestive tract. Due to its high potency, it should be used in limited quantities. Carom Seeds (Ajwain) Due to the unique taste and strong aroma, Carom seeds are used for preparing specific dishes and concoctions. This herb is great for the health of your respiratory system, as it helps to clear out lungs and airways. Consuming it will improve the functioning of Prana Vayu, Apana Vayu and Vyana Vayu in the body. Regular intake of this spice (boiled with water) helps prevent indigestion and bloating but should not be consumed in cases of constipation. It also helps in alleviating pain such as menstrual cramps. Make sure you only add these seeds in the final stages of cooking or after cooking. Coriander This spice can be used in a wide variety of preparations and is an essential part of Indian recipes. In Ayurveda, Coriander is known for supporting a healthy appetite, kidney functioning and blood purification. This spice is believed to balance Pitta (digestive Agni) and cure inflammation in the digestive tract. Normally, it is used in a powdered form in dishes but sometimes roasted whole seeds are added for texture. Asafoetida With just a pinch of this magic spice you can safeguard your health against many common ailments! It has pain-relieving, anti-inflammatory and anti-diabetic properties. The Coumarins in it improve blood flow and prevent blood clotting. Asafoetida also helps in lowering blood cholesterol and triglycerides. Due to its calming effect on the body’s Vata Dosha, it reduces gas and Ama (toxins). While making dishes using beans, dals (lentils) or cruciferous vegetables, tempering them with Asafoetida will enhance aroma and digestive abilities of the food. Start adding these aromatic spices in your preparations to experience their beautiful flavours and amazing healing powers! Ayurveda propagates that every dosha in the body (Vata, Pitta, and Kapha) requires a prescribed dosage of different medicinal spices for optimum health and balance. For Vata Body - Saffron, Basil, Fresh Ginger, Cumin, Black Pepper, Fennel.